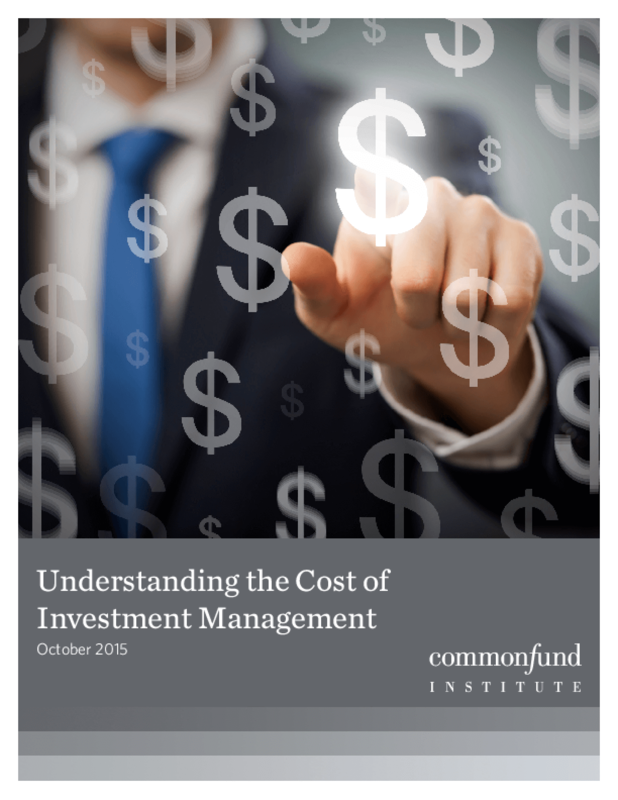 Few aspects of financial management are more important for fiduciaries than an understanding of the costs paid for the management of the perpetual funds for which they have responsibility. Indeed, astute management of costs can make the difference between mediocrity and superior performance in otherwise identical portfolios. But unlike other factors that affect investment returns, such as asset allocation and the many types of operational and investment risk, costs are almost certainly the least well understood. In this paper, we introduce the various types of costs that investors pay -- both disclosed and undisclosed -- and provide representative ranges for each type of cost. Our aim is to guide fiduciaries as they strive to fulfill their duties under common and statutory law and to provide investment managers with a guide to best practice.